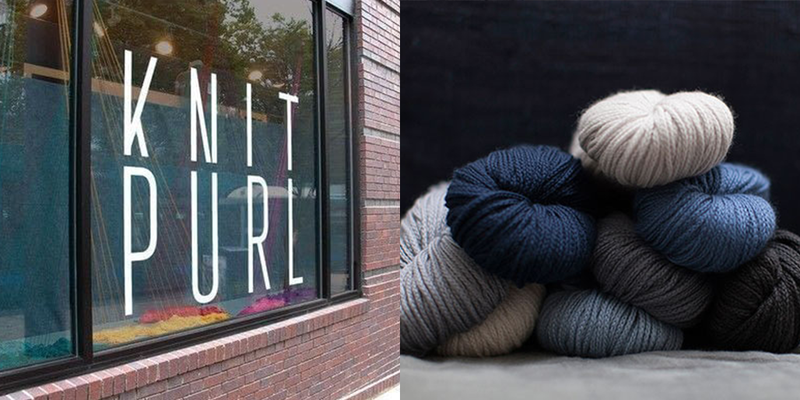 Sponsor: I wanted to thank this week’s sponsor, Knit Purl in Portland, Oregon. 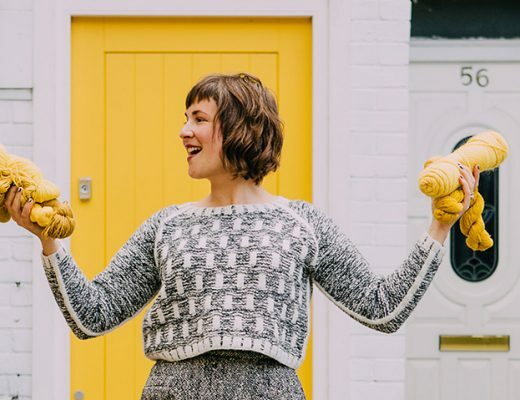 A wonderfully motivating yarn shop founded by Darcy Cameron in 2004, with the intention to create a unique curated experience for yarn buyers. They’ve worked closely with local, regional and international makers and designers to provide a one of a kind experience, to fuel creativity for fiber and design enthusiasts. Each month they offer a great calendar of classes and events, and every other Wednesday you can join other fiber folk for Knit Night at 6pm. 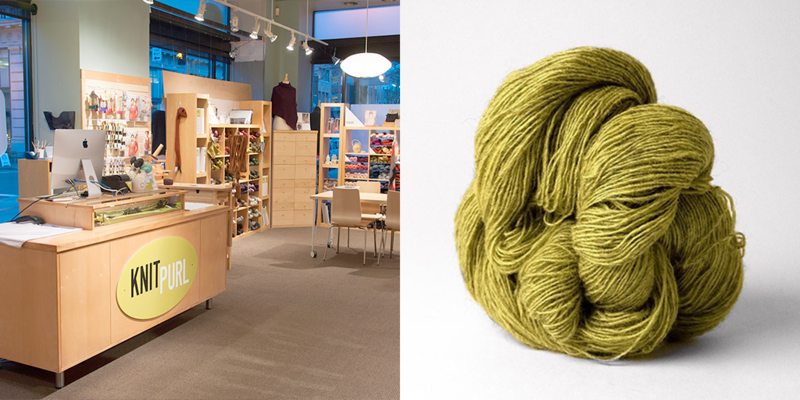 Make sure to stop by in person when in Portland and shop their large selection of yarns including Woolfolk yarns at knit-purl.com. 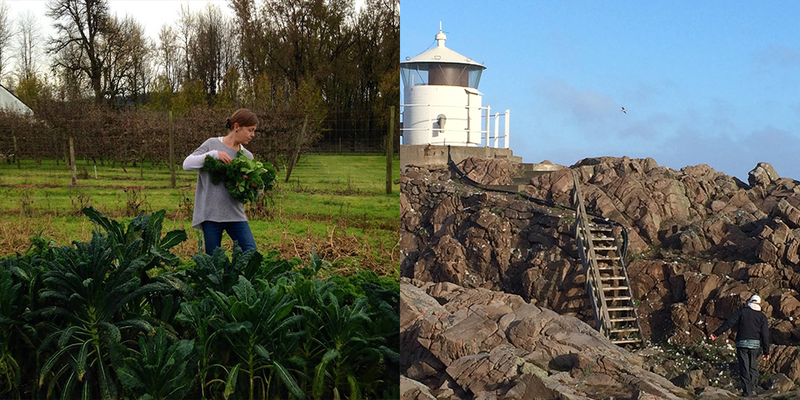 Fiber folk: Kristin is an architect, mother, maker, farmer, entrepreneur and inspiration. 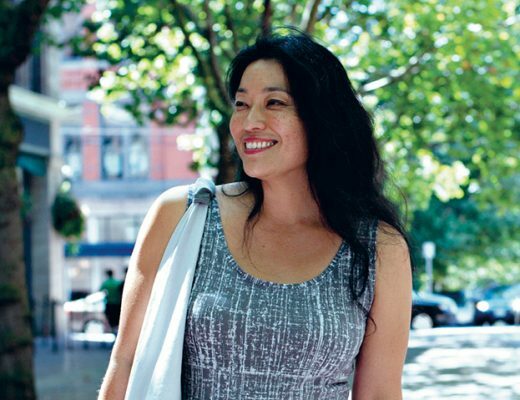 Design has been a thread deeply woven in the fabric of her life…from her career as an architect to her recent entrepreneurial endeavors with Woolfolk Yarn, an incredibly thoughtful and beautifully created and curated yarn brand with focuses heavy in sustainability and softness. Her mile a minute life has been fun to keep up and hearing her passion and witnessing her gumption for life is pretty awesome. You can find Kristin at woolfolkyarn.com and on Instagram @woolfolk_yarn. Man on the street: For this week’s “Man on the Street” I asked the question, “What are some of your non-fiber inspirations…what feeds your creative voice besides yarn/knitting/weaving itself?” shared by Mary in our woolful raveler grow.” We had some great answers from Maria @fernfiber, Amy @urban_farm_wife and Lauren @woolpickle. Giveaway: The winner of last week’s giveaway, is Amanda! You’ve won a skein of Swans Island Natural Colors Worsted weight yarn in Garnet and the Olivia Cowl pattern from NorthCoast Knittery. Congratulations! This week we’re giving away 2 skeins of the Woolfolk yarn Tynd in #7, along with Fure Armwarmers pattern, designed especially for Woolfolk by Olga Buraya-Kefelian. To enter this giveaway, leave a comment in the comment section at the bottom of the post page. Sponsor: I wanted to make sure and thank today’s sponsor again, Knit Purl. Along with their impactful presence as a local yarn shop in Portland, Oregon, they’ve put together a dream collection of yarns in their online shop, including some of my favorites, Woolfolk, Brooklyn Tweed, Sincere Sheep, Swans Island and Twirl. To find these yarns, along with patterns and notions visit knit-purl.com. 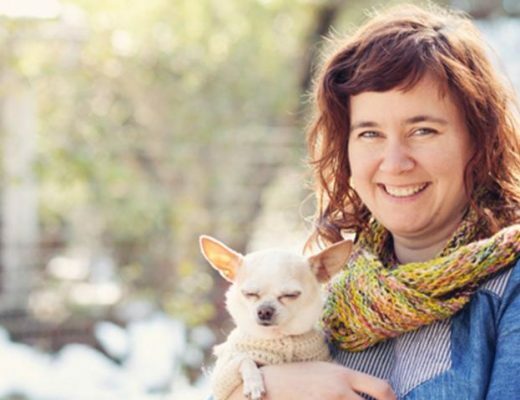 And coming this Fall and Winter, Knit Purl has some very exciting events and classes featuring Jared Flood of Brooklyn Tweed, Shellie Anderson of Shibui, Cecilia Compochiaro of Sequence Knitting and designers Olga Buraya-Kefelian and Melanie Berg. Sign up for their newsletter at knit-purl.com to learn more, get updates and receive details on how to register. And through the end of this month, Knit Purl is celebrating Lace Month, use code LACEYARN for 10% all lace yarns. 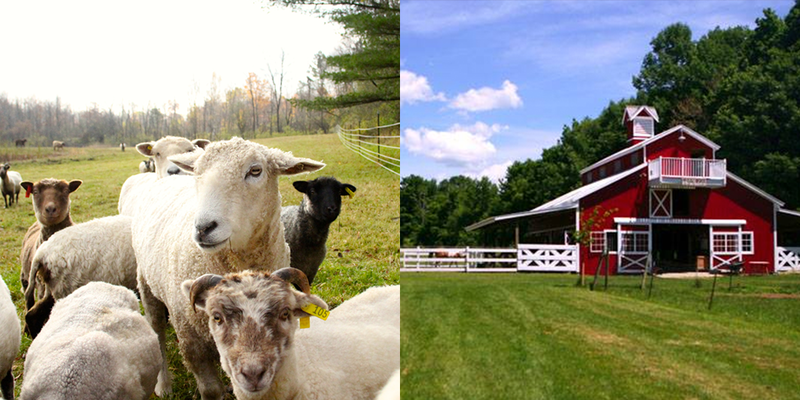 Events: This September 20th -24th, enjoy 4 evenings & 3 full days of fiber fun with lessons and supervised hands-on practice of needlefelting, handspinning yarn and hooking a wool rug sampler at Wing & A Prayer Farm in Shaftsbury, VT using wool that was grown on the farm & sourced locally. Novice fiber-enthusiasts will build fundamentals, while experienced students can focus on improving and picking up new techniques. There’ll be traditional rug hooking design and needle felting in addition to basic principles of spinning, learning about the tools, equipment, carding, combing, yarn design, color & dyeing. There’ll be plenty of time for spinning, and, as a bonus, you will be welcome to enjoy walks about the farm and local country roads, self-touring to include Wing & A Prayer Farm’s fiber flocks. Many of the flock are very keen to snuggle with visitors, so you’ll want to make sure to bring along some boots for the outdoors and pack your flannel for crisp Vermont fall days, pack your camera for beautiful foliage. All meals & snacks are home cooked and farm stay accommodations are included in the registration. Fresh air, starry nights, & making new friends are on the house. A limited number of signups are available and more information is on the Wing & A Prayer Farm website at wingandaprayerfarm.com. Really enjoyed this podcast and hearing all about this wonderful new Merino wool that feels like cashmere. The knitpurl store is always my first stop when we visit Portland – beautiful yarns and very helpful staff. Another enjoyable and inspirational podcast. I loved that Kristin’s grandmother taught her to knit. The 5000 apple trees! Maybe I need to take another look at hard cider. What a delightful podcast. Great to hear the story of Woolfolk. Now I’m starting backwards and listening to your other podcasts! and i cannot wait to see how it drapes off the needles. I enjoy Woolful podcast so much. This week’s episode was so interesting. Kristen’s yarn sounds delicious. Every time I pop into this post I get lost in the Beauty of every ting. I find myself wishing that I good live in the little fishing village, jolly down to the wharf, pop up on the sea wall and knit till my hearts content. How wonderful! I’d knit the Fisherman’s Sweater that I’ve been promising my Hubby for a bit. He’ 6’7″ and wears a 2XLT and seems daunting to me. How much yarn is that, I figure 2 herds worth. I found a beautiful Yarn and Colour at The Net Loft in Cordova Alaska. The have a lot of Yarn produce by local sheep and the dyers that come up with the colours, well it’s magic! I’m personally in Love with a cotton blend from right here. I am expecting a Gran-daughter in Decmeber this year and thought this would make some beautiful, soft pieces. Well, out of dream world, back to reality…at least know matter where you go you can always take your knitting! Woolfuly happy it’s so! I have been admiring several projects made from Woolfolk yarn on Ravelry. Very exciting to hear Kristen’s story behind the company. I wish her many years of success! This is so lovely! Thank you for the chance to win, and for giving me something to listen to during naptime. 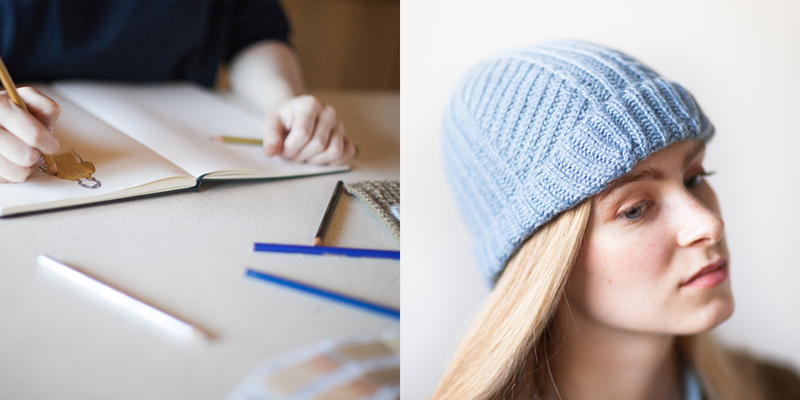 I’m putting the Knop hat on my Ravelry queue for sure. I’m curious to knit with a chainette constructed wool. Thanks for a great podcast! I just experienced WoolFolk Yarn at the Knitting Tree Festival booth this weekend at TKGS 2015 in San Diego. I can attest! Soft as Cashmere for certain! Great episode. Its inspiring to me as a not so great knitter to hear that everyone started somewhere! I think I won the contest from last week, but there’s generally more than one Amanda. Let me know if it was me! Because I am really excited about it! This episode was very timely for me as I just bought two skeins of Far last week. These yarns really must be felt in person because their softness is unreal! South Dakota. I’d love to visit the Eck Ranch one of these days to see their Rambouillet sheep. It’s about 2 hours away, which in South Dakota is just “up the road”! Whoops! Commented on the wrong episode! Sorry! I bought a skein of Woolfolk and started a hat but abandoned it because the pattern wasn’t right. I really want to go back and make something lovely with it! 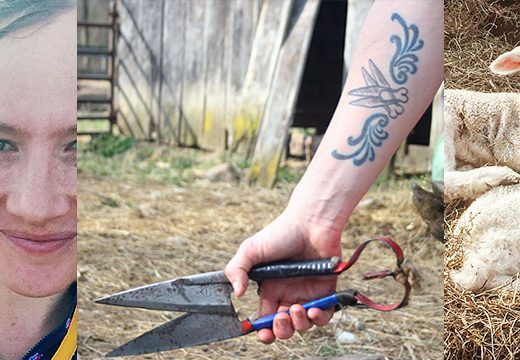 What a great story and beautifully crafted live and business Kristen has! Thanks for another enjoyable hour–and a chance to win that stunning yarn! Beautiful yarns I’m so curious to see how they feel! My favorite shawl was knit from Woolfolk Tynd. I Love it so much! As always, I can’t wait to listen to this week’s podcast–I’ll save it for tomorrow when I can sit down with some knitting in a quiet space and listen from beginning to end with no interruptions. Sigh….. I have been interested in trying Tynd for a long time. Thanks for the opportunity and thanks for another fascinating podcast. Look forward to it every week. Another wonderful, inspiring episode. Thank you! Kristin Ford has such an interesting story revolving around yarn. I don’t know why these interviews still surprise me. Just wonderful to listen in. Well Shaftsbury VT is too far away for me right now, as amazing as that sounds, but Portland OR is only an hour away! Great episode! I’m a huge fan of minimalist/Scandinavian design and monochrome colour palettes so Woolfolk is right up my alley! 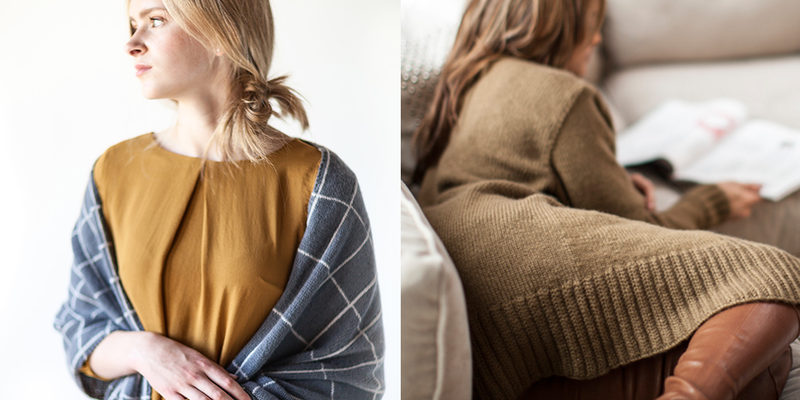 I appreciate that there are companies like Woolfolk that are really breaking the mould and showing that knitting can be modern and sustainable. What a pleasure to listen to another person’s journey with wool while I knit. After a busy and stressful year dealing with my sister (now passed away) and my father suffering from life threatening illness knitting has been my respite and refuge. Would love to be able to feel the beautiful yarns in your posts. They are certainly a feast for the eyes. Lovely interview Ashley. 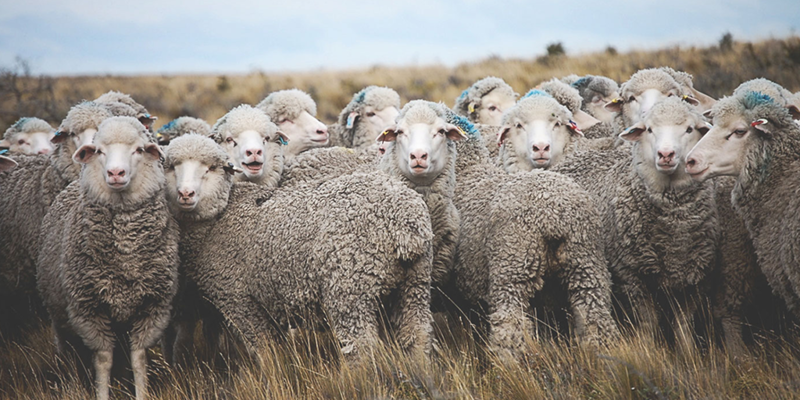 The story behind Woolfolk yarn is awesome – it’s so great to support sustainable farming, and it’s sometimes so hard to tell once you’re in the LYS which is *actually* sustainable! I really appreciate the colour palette that Kristin has in the Woolfolk, as I’ve also got the Northern European background and love to grey-deep blue colours. Such a fantastic interview and I can really relate to Kristin very much. Thank you so much for another fascinating podcast and interview! This time featuring so many of my faves…Woolfolk, Knit-Purl, and other inspirations. I became acquainted with Woolfolk at Vogue Knitting Live in Chicago and have lusted and researched this company since. I have purchased three skeins of Tynd and am “designing” a wonderful cozy shawl to make sure this beautiful fiber is close to my shoulders. I love all their colors and Kristin’s fiber story makes my purchase so much more special. Thank you for your devotion Kristin and Ashley to luscious sustainable yarns and to a great give away…truly appreciated! You have really been touching on some of my favorite yarn companies in these past few podcasts! What a wonderful interview, and I loved seeing the pictures in the show notes! Thank you for sharing these great stories about folks advancing our wool life. Always wonderful. So inspiring to hear more about Woolfolk & such beautiful yarns. I look forward to your update every week and this week made my day! I live in gorgeous Montana so my man in the street answer is that I am inspired creatively by my surroundings every day. Wonderful episode! It was a treat to hear the story behind Woolfolk. I am definitely adding Knit Purl to my list of places to visit when I head to Portland when I head in a month. Kristen’s story is really inspiring and I love that she seems to have tried a little bit of everything without apology! Its so AWESOME! Thank you for yet another lovely episode. Being Danish myself it was fun and interesting to hear about Woolfolk, Kristin and the company’s Scandinavian background. The yarn looks so delicious! Thanks for another great podcast. I really like the indepth interviews. Woolfolk yarn is just dreamy, and those arm warmers look like the perfect winter accessory, if we could just get done with summer! I’m a day late to listen ! I found this episode really inspiring. Listening to the way knitting and fiber and sort grown into her life. Amazing. So jealous. I can’t wait to grow up and not have to go to work and just knit. THE DREAM. Hopefully my significant other makes enough to support our house ANNNNNND my fiber allowance lol. Hope your moving is going grand. Loving the instagrams! I loved this episode. I love hearing some about her design background and how that has helped in her yarn design world. Such a lovely sorry! I cannot wait to get my hands on some Woolfolk yarn! I’m currently in Massachusetts for the summer, and one of the local shops carries it! I’m so inspired by the sustainable practices and long to take a trip to South America to explore different fibers I can incorporate into my weaving, knitting, and crocheting! 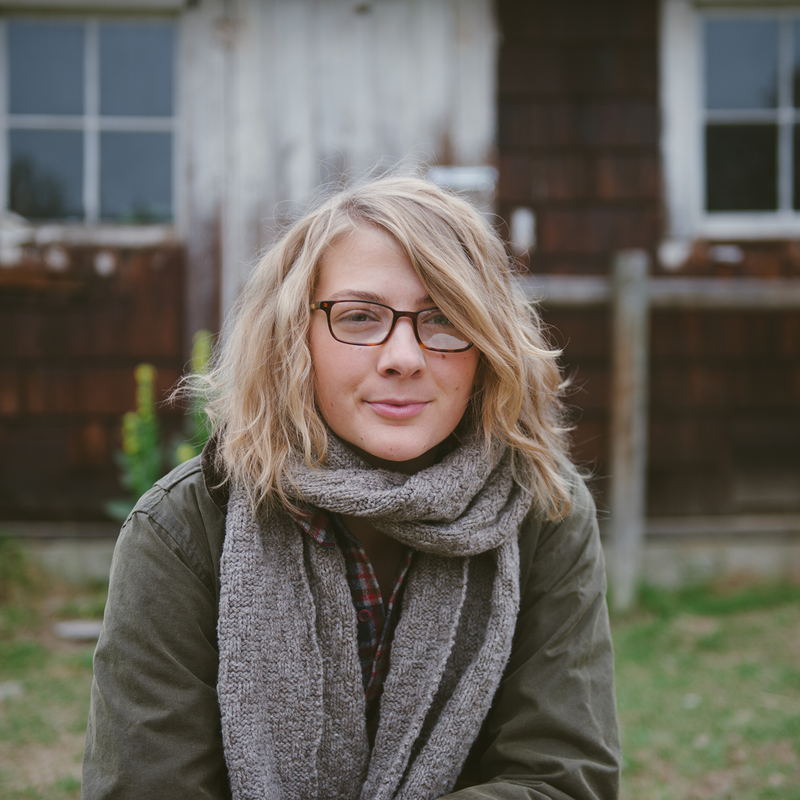 Thank you again for another wonderful podcast….Loving my PNW peeps and can’t wait to visit Knit Purl. Wow, Kristen sounds like she must have tons of energy to do all she does. I have seen patterns with her yarn that look so beautiful. I would love to win that yarn. Yarn both sounds and looks lovely, and I appreciate Ms. Ford’s commitment to sustainability. Her seat on the logic train – re: production in China – is confirmed. Oooooh, I love the colors of Tynd! Loved listening to this podcast. I love Woolfolk yarn and am lucky enough to have my LYS be one of those shops that stocks Woolfolk yarn. I love how Woolfolk got its name — so cool! Thanks for another great episode. I only had a brief break this morning and it was joyously occupied by your pod cast! How lovely to get to “meet” yet another lovely soul. thank you always! Such a good listen! Loved hearing bleacher knitting and how she never stopped even when she was younger! Thanks for putting these up even while moving and transitioning!! Another wonderful story about an amazing personal journey into the world of fiber, color, and knitwear design. So inspiring! Loved the interview as usual! I work in a yarn shop, will have to talk to them about Woolfolk yarn! Would love to try Woolfolk yarn. Thanks for the opportunity. I discovered your Podcast only a couple of weeks ago and have been working my way through the older episodes. I love your interview style! Here’s to hoping for many more episodes! I love that she was able to use her grandmother’s maiden name and have it be so relevant! Interesting talk with a very cool lady! I’d love to try the yarn. If I had my life over I would definitely own a yarn shop – it would be a beautiful space. It would also be packed to the rafters with luscious yarn. Love your podcasts. I found Woolfolk yarn several weeks ago at my LYS. It is such beautiful yarn. I definitely want to make something out of this! Thanks again for another wonderful episode. It was such a delight listening to the story behind Woolfolk. I think knowing about the yarn you choose to knit with adds a little extra to each project created with it. I can’t tell you how much I look forward to your podcast each time it comes out. Thank you for the beautiful and informative stories of so many amazing people! The more episodes I listen to, the more I want to just CREATE. Thanks! I’d love to try this yarn! And I love this podcasts. Thanks! Thanks, Ashley, for another informative and interesting podcast. I’ve used Tynd before and it is magnificent. I made the Global Nomad Cowl in colors 2 & 3. I would love to win and make something else in this yummy yarn. Thank you so much for the beautiful podcast. I enjoy it so much. Wonderful and inspiring show. I was listening while walking the dogs and couldn’t wait to get home to pull up photos of the Woolfolk yarn and see where I could order some before it’s all gone again. I just can’t wait to feel it and knit with it. Really enjoyed hearing Kristen Ford as in a huge fan of Woolfolk. About to cast on for Ann McCauley’s Arabella sweater using color 11 Tynd. Learning about so many new-to-me yarns has been amazing for my knitting, bad for my pocketbook! I love Woolfolk’s checkered shawl! I had seen her yarn but not the patterns. Thanks for this! The fisherman’s hat is awesome, too! Not sure why it is so hard to believe that there are red haired blue eyed people in Latin America. Fun podcast! Thanks for introducing me to Woolfolk! Enjoy all your podcasts and really loved this one. Woolfolk yarn is going to be carried at my local yarn store. So excited. I always do a little happy dance when I get my new episode notification for Woolful! Thanks for all the inspiration! Fantastic interview and I have had fure in my queue for ages! Fun! Another lovely episode! I’m fascinated by the fiber journeys highlighted in your podcast. Thanks for sharing! I’d heard about this Patagonian merino. Nice to hear from and about the US distributor/supplier. I loved the bit about all the greys I can definitely relate to that when I look in my closet. Kristin is living my parallel life…the one I would have chosen had fate not stepped in! 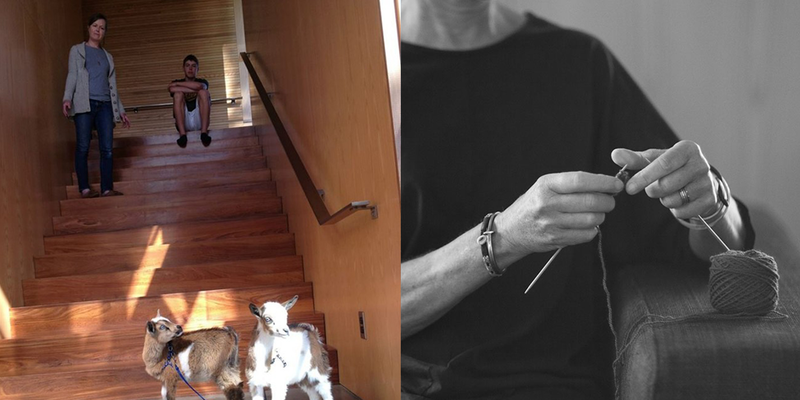 I’m not complaining, I’m a lucky girl too but the similarities extend to architecture, apple farming & even Nubian goats! I did have the endless sporting events, dogs and knitting but now find myself almost 60 and living IN Dallas. Thanks for the great episode. Now I want to knit all of the Woolfolk patterns! I’d love to try Woolfolk, and will definitely be off to knit purl for lace yarn. Thanks for hosting the giveaway, and for the great blog and podcast. It looks beautiful. Thanks for the chance. Your podcast always makes my walks about town enjoyable! The Woolfolk yarn sounds really interesting to me and I’m sure I will give it a try at some point. Really enjoyed this episode. Sad that Woolfolk isn’t available in any Washington yarn stores! I love how Kristin is keeping the brand very focused and taking the rather unusual approach of selling only wholesale directly to stores. I’m sure yarn stores really appreciate that. Tynd looks gorgeous! I’m generally into colorful yarn, but this sophisticated color palette might convince me to do some neutral palette work—and I may need to place an order to try both the Tynd and the Far! Another wonderful podcast. They are so enjoyable and informative. 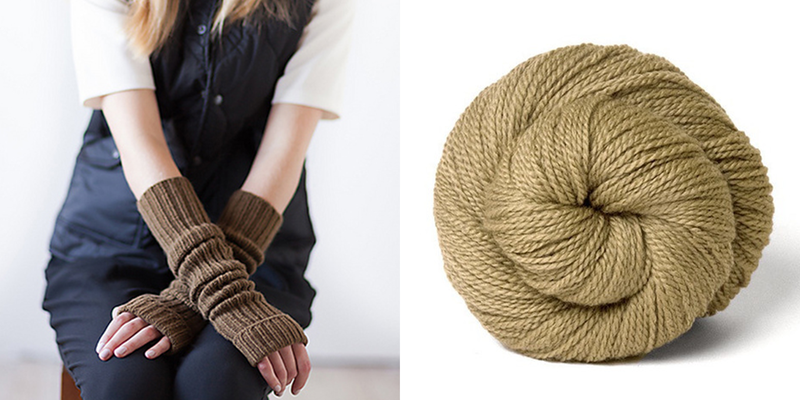 I think I could happily live on Woolfolk colorways alone. Absolutely gorgeous. Thank you Ashley. Another inspiring podcast! Thank you so much. I hope to someday try Woolfolk yarn….& if you pick me it will be soon : ). I love everything about this yarn! And I love everything about your podcast!!! Thank you so much for this podcast! I would love to try some woolfolk yarn. I’ve always thought ‘Woolfolk’ was the best name for a yarn line. I loved hearing Kristin’s story and the origin of the name. You were made for this! Always a joy to listen to this podcast. Every time there is a new episode I get really excited to listen! This yarn is really special. Thank you for the giveaway and the great interview. Just heard your podcast with Kristin Ford and the story of Woolfolk yarns. Discovered this awesome yarn at Rhinebeck last October and then got to see more of it at VKL New York in January. Wow! I love this yarn, nothing like it. And now hearing the history of the company, I am totally smitten. 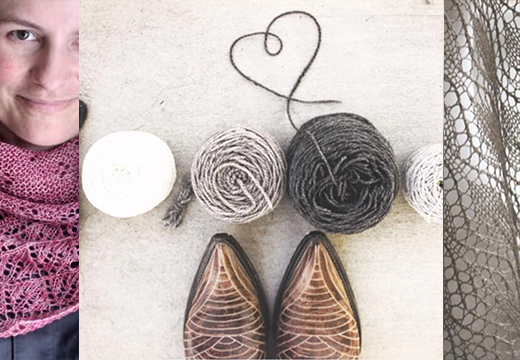 Loved hearing about Woolfolk yarn & now I want to try some! add that woolfolk yarn to the list! so many yarns, so little time! Great problem to have, right? thanks for bringing them all to us! What a lovely podcast. I will be looking for woolfolk yarn! As always an interesting and informative podcast. Thank you for doing this! I find Woolful to be a new inspiration each time I listen. I walk as I listen so it also feeds my body as well as my soul. Everyone finds so many different paths from the same passion. Thank you for bringing these lovely people into our lives. 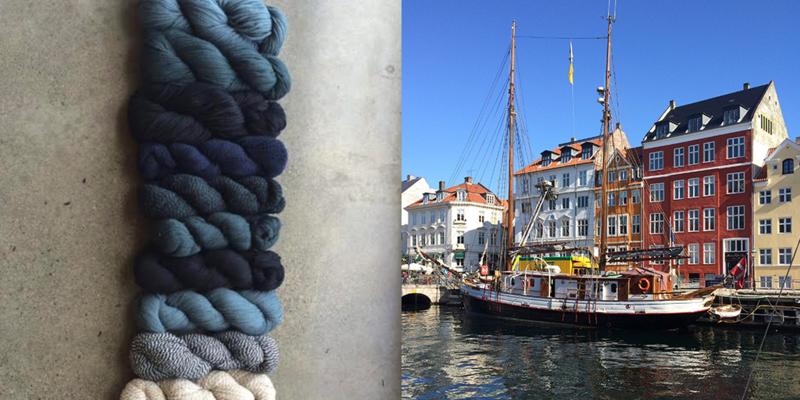 I am happy to know that Monarch Knitting, my LYS, is one of Kristin’s stockists. And , I would especially be happy to be the lucky winner of Tynd! I find Woolful renews my inspiration each time I listen. Happy to see that my LYS, Monarch is one that carries Woolfolk yarn, too! Hope to win some Tynd! This podcast is a welcome inspiration! Thank you! I just love your podcast! It always leaves me feeling more inspired and more a part of the global fiber community. Thank you so much! And this yarn and pattern look really lovely. I’m gonna queue those arm warmers up in ravelry, just in case I’m not the lucky winner. It was great to learn more about Woolfolk! Thanks so much for your podcast. Thank you for another great podcast. I love to listen to it with earbuds and be inspired and calmed during nap time. Thank you for the podcast. I’ve been interested in some Woolfolk yarn. Now I just need to decide what to knit with it. Interesting podcast as always, and beautiful yarn (I love indigo too). Thanks formthe chance! Just caught up with the podcast and got my husband hooked too! So great to hear your plans are progressing! So glad the giveaway is your yarn! There are so many new yarns I want to try knitting with after hearing the story behind them on the podcast. Would love the opportunity to knit with the Woolfolk yarn, and to have an excuse to finally knit a pattern by Olga. Loved hearing the story of this amazing yarn! Thanks for sharing! Loved this episode! I especially enjoyed hearing about her experience growing apples for hard cider. We’re big fans of Northwest cider here so it was a treat to learn more about that business as well as about Woolfolk. Another great yarn to try out and add to my ever growing list! Thanks again for all the great stories and information! Woolfolk sounds like such beautiful yarn. Thank you for the podcast and the giveaway. This podcast was very interesting. The yarn that Woolful is producing sounds wonderful. We always need good wool yarn here in Canada! I love your podcasts. its really nice to listen to and learn what motivates people to make the products that they do. So very inspiring. Wonderful podcast as always! I have just come across your site and have listened to 7 podcasts in the last two days! Love this podcast! Found it accidentally and I’ve been going through the archives listening to interviews with all of these amazing and inspiring people. Thank you Ashley for the time and effort involved in creating Woolful and sharing all of this with so many people. Very interesting story. Thank you for bringing it to us! I love woolfolk- I knit a hat for my nephew for Xmas last year. He absolutely loved it. I’d love to knit the arm warmers for myself! I keep your podcasts for my Sunday morning alone time. Love them! Generally, I don’t go for fingerless gloves, but this pattern may change my mind. I’m looking forward to finding the Woolfolk yarn in my LYS. Thank you for wonderful podcasts, I can listen to just about anywhere. Hoping to try the Woolfolk yarn soon! 🙂 Thanks for a great podcast! Really enjoyed this interview – I always enjoy hearing what influences people’s design aesthetic. I happen to share a love of architecture (and actually work in the construction industry) so Kristin’s story really resonated with me! Her wool looks and sounds gorgeous, I’d love a chance to try it out. Another wonderful podcast. I learn so much and it is such a nice calming way to start my day in the morning. I recently tried Woolfolk for the first time and I am in love. It is incredibly soft and such a joy to knit.